Even before Bram Stoker immortalized Transylvania as the homeland of his fictional Count Dracula, the figure of the vampire was inextricably tied to Eastern Europe in the popular imagination. 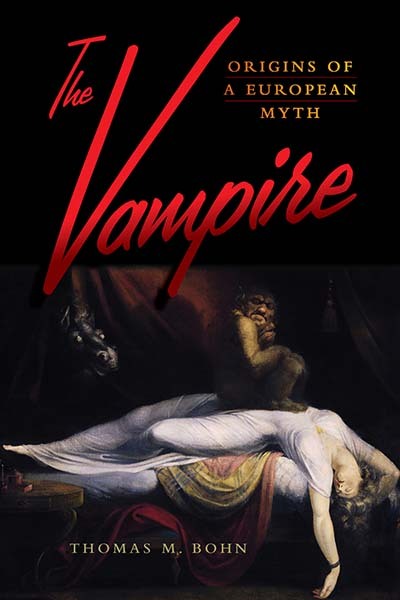 Drawing on a wealth of heretofore neglected sources, this book offers a fascinating account of how vampires—whose various incarnations originally emerged from the folk traditions of societies throughout the world—became identified with such a specific region. It demonstrates that the modern conception of the vampire was born in the crucible of the Enlightenment, embodying a mysterious, Eastern “otherness” that stood opposed to Western rationality. Thomas M. Bohn is Professor of Russian and Soviet History at Justus Liebig University Giessen.